Lustration is a process, with deliberate intent, to move from an undesired state to or towards a desired one.Traditionally enacted in the form of a ceremonial ritual, purification, washing, blessing, purging or cleansing, a lustration ritual usually involved the symbolic use of water, to wash away that which no longer served or hindered movement forward. The term has also become synonymous with the restoration of credibility, to a government, by the purging of perpetrators of crimes committed under an earlier regime and therefore resonates with accountability for past human rights abuses, corruption and injustice, or the exposure of compromised state officials. The law of retribution or reconciliation is therefore a form of lustration by dealing with and purging societies and governments of old injustices and corruption. The process of lustration and its results can be equally dramatic. 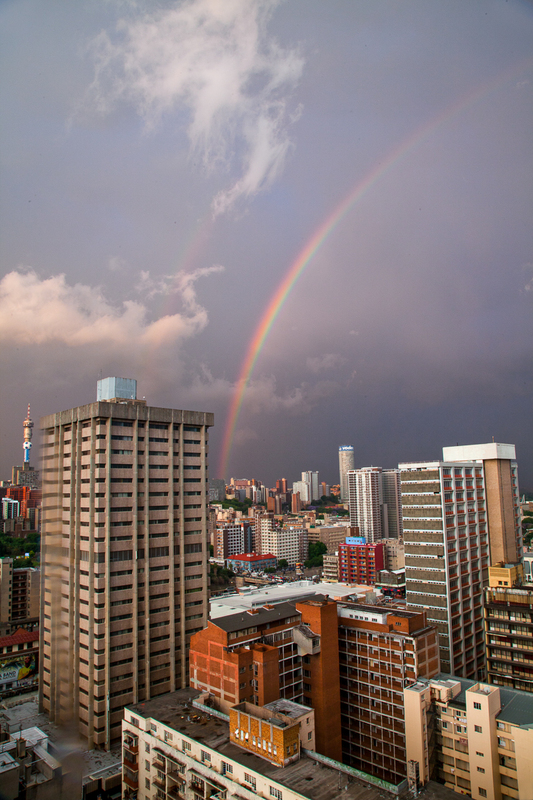 We see it performed in thunder showers that reveal a lighter, cleaner, more hopeful Joburg after the rain. That reminds us, like the rainbow was supposed to, just how good it can be: a glimpse of a dream Joburg; a vision at once romantic and amnesia inducing. Water is crucial to the health of systems. The study of that system must therefore concern itself with flow. The flow of water, the flow of blood, the flow of emotions…and their undercurrents. This body of work follows and celebrates the flow of water within the Joburg body, illustrating symptoms of ill health or discontent in its society where flow is impeded. "Every curtain has its day"